Wednesday, November 22 Black Friday Deals! | Dexless, Maplestory Guides and More! Wednesday, November 22 Black Friday Deals! Each St. Patrick's Day Surprise Style Box holds a random permanent equip with a St. Patrick's Day theme! There are 50 different permanent items available! In non-Reboot worlds, you can trade these style box items with other players through the Cash Item Trade window, if you haven’t equipped them. Right-click on a character to see the menu. Green Leaf Hat, Green Tie & Shirt, Green Rain Cap, Green Raincoat, Olive Beanie, Green Shutter Shades, Military Cargo Jacket (M), Slime Earrings, Blooming Leafy Love Outfit (F), Leafy Dream Wings, Green Ting Slippers, Superstar Headphones, Slither Style Hoodie, Yellow-Green Backpack, Leaf, Green Shades, Green Overall Shorts, and Green Blazing Sword. This is a limited quantity sale. Get the goodies before someone else does! Purchase limit of one 15-pack of St. Patrick’s Day Surprise Style Boxes per account. In non-Reboot worlds, open the box and get your hands on Violet Cube (x3), Liquid-Metal Heart, [A] Nebulite (DEX %), Time World Alice Hair Coupon (F), Oversized Oxford, or Midnight Train Mount Permanent Coupon. 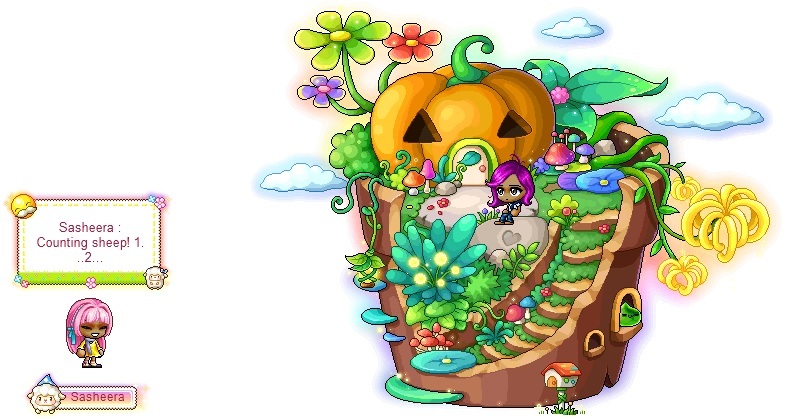 In Reboot world, open the box and get your hands on Time World Alice Hair Coupon (F), Oversized Oxford, Midnight Train Mount Permanent Coupon, Meadow Sheep Chat Bubble Ring, Meadow Sheep Label Ring, or Secret Flower Garden Chair. Take home this playful permanent Corgi Pup pet! It comes with an equip to wear, yummy pet food to eat, a Pet Name Tag, and some useful pet skills and scrolls. Let the Corgi Pup pet join you on your adventures in Reboot World! Take home these permanent pets based on some of the main characters from Black Heaven! Get quiet Lil' Lotus, weak Ill Orchid, or crazy Gelimer. The individual packages each come with an equip to wear, yummy pet food to eat, a Pet Name Tag, and some useful pet skills and scrolls. Let the Black Heaven pets, Lil' Lotus, Ill Orchid, and Gelimer, join you on your adventures in Reboot World! Give your new pet a name! Pick up a Pet Name Tag at a 50% discount, and use it to name your pet. If you say your pet’s name before giving it a command, your pet will respond much better! Stock up on Premium Pet Food for your friendly companions with a 50% discount! Have your pet consume pet food to keep them well-fed and increase Closeness. Do you have more than one pet? Pick up a Pet Snack to handle multiple pets at once! This item is 50% off today!